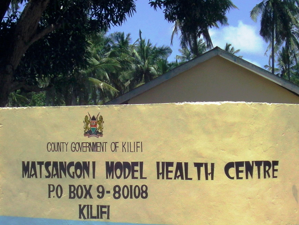 Kilifi Moringa Estates (KME) currently engages HIV-support groups through its model Outgrower-farm at a local Health Centre. The nutritional package delivered by Moringa Oleifera has long been recognized as a ready, low-cost nutritional intervention in HIV life-support, thus gold-plating it’s additional role in the project’s core objective of creating rural economic drivers. Moringa cultivation is particularly well suited to people who are not fully able-bodied, due to the low labour requirement necessary for cultivation. KME supports these planters from land prep to harvesting, paying them premium prices for yield. Already having exponentially multiplied farm incomes (vs. maize), Disability is no longer Inability. Supporting a core tradition of African life, i.e. of retired persons returning to the rural homestead/farm to live out their years, Moringa cultivation provides a low-requirement (esp. labour), high-value package as described preceding. Thus the sad reality of rural, elderly poor is being impacted by KME Outgrower Support programs. Through our Outgrower Farm Support program, some of the greatest beneficiaries are now-vulnerable groups: Women, Elderly, Handicapped and people living with chronic, but not disabling conditions (e.g. HIV).